What does a next generation Food Network look like? Tastemade, a food video startup that launched with a multichannel Youtube channel last year, thinks it’s online, social video programming. And the company is off to a great start, with over 100 YouTube food channel partners in the Americas, Europe, and Asia that get 12 million unique visitors from more than 200 countries, all in just one year. Until now, the company has focused on producing programming for its YouTube network geared towards “Tastemakers,” the people who create the content for its global community of food lovers. In addition to curating food-focused videos from around the world, the company films live programming at its Santa Monica-based studio (a la the food network). Earlier this month, the company announced it has raised a $10 million Series B round, led by the Raine Venture Partners, to expand its reach and gain traction through other channels and devices, like AOL, Yahoo and Roku. The company also plans to use the new round of funding to develop its recently launched iOS app. The app, also named Tastemade, aims to provide a quick and easy format for creating 1 minute food videos. It walks users through instructions for how to film a compelling beginning, middle and end to their food story. The company hopes the app will help its digital community generate short episodes of their favorite restaurants, meals, lobster boils, canning parties, food festivals and other food experiences. We spoke with Tastemade co-founder Steven Kydd to learn more about the company’s fundraise and recent app launch. Food+Tech Connect: Why do you think you were able to double the amount of money you raised from your Series A raise? Steven Kydd: The food category is a massive, global opportunity. This new round of financing helps us capitalize on that opportunity. Twenty years ago in the early days of cable, the Food Network forged a path in TV and now it has created a multi billion dollar brand–the defining brand of its time. We want to be the defining food brand of the digital age, by focusing on four pillars, mobile, global, social and video. Our fundraise was aimed at scaling our business and growing the network of creators. We believe in creative leverage, meaning that, our software will help people tell more interesting stories through video. FT C: What was your fundraising strategy, and why do you believe it was successful? SK: Quite simply, we looked for investors who share our vision, liked our technology-led approach, and who were food lovers. Raine Ventures & Redpoint Ventures are perfect match for Tastemade. FTC: What are your key learnings from launching the app? SK: The app has only been live a few weeks but the biggest learning is exactly what we had hoped for — that there are amazingly talented people around the globe who are embracing the app as a way to share their passion for food through the shows they create. Food bloggers have been the largest group to embrace the app. The vast majority of bloggers are not adept at video, and the app provides a turnkey solution for them to get into the video game. One great example is the blog Backyard Bite– author, Amy T. Shuster, has been able to shoot beautifully produced 1 minute videos to share with her fans very easily. FTC: Why is video a good medium for restaurant reviews and food stories? SK: To clarify, these are not critiques of restaurants as much as a celebration of places and dishes people love. Unlike photo apps, video captures the full experience — sight, sound and motion — and shares that experience via mobile/social platforms in a way that makes you feel like you are there. The 1 minute videos on the app are shot in HD and tell a story in a specific format (which is just our initial version). For many people video production is too difficult, expensive. There is too much friction and too many steps in the process. Through the app, we are providing a way to help people tell their stories through a video studio in their hand. No matter where you you can shoot and upload a fully produced video. FTC: Why did you go with one minute videos? 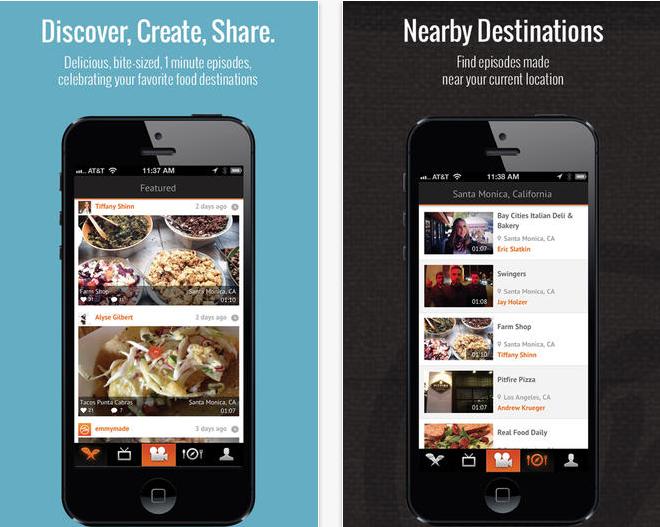 The Tastemade app does not create videos or clips, it allows users to create their own episodes of a show. To create a show, we developed a very structured and specific format. Just like on the Food Network, this format allows users to tell a story. We tested a lot of different formats, but through trial and error we found that you could really capture an interesting experience and tell a story in one minute. A little episode of a show, if you will. If you and your friend are trying to figure out where to go for dinner, as a member of the app community, you can find places near you and get a feel for the ambience, sound and motion of the eatery from other users’ uploaded videos. FTC: Have people been using the app for critical review? No one has critiqued anything yet. We have a featured tab, that is curated by our staff and users have a friends tab (similar to following on Instagram). We only feature things that are high quality and consistent with our brand. If somebody does something that is negative, you simply don’t need to follow them. 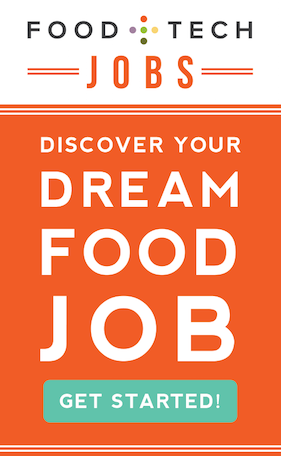 The Tastemade community is self-believing and we are aiming to connect the world through food. FTC: What is next on the horizon in terms of platform expansion? SK: We will continue to develop the Tastemade App for iPhone and a Android version will be released later this year. You can download the initial version of the app on iTunes.